I know that everyone is gearing up for their 4th of July Parties....and I am too! 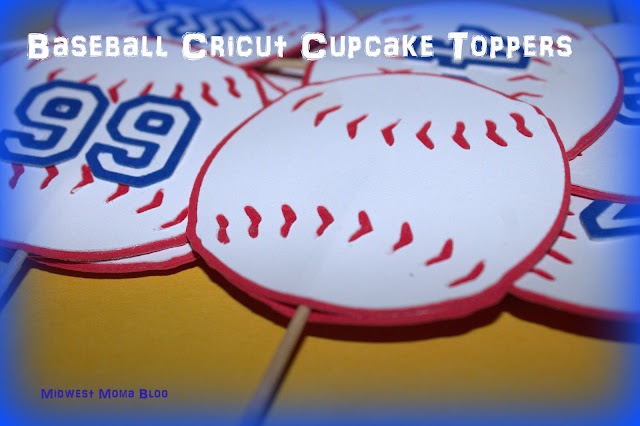 However, on Saturday, we have one of our end of season parties for one of our baseball teams :) In preparation for this party, I am going a little overboard with the things I have been left in charge of! I have put my Cricut to work this afternoon as well as several of my cartridges! Here are the cupcake toppers I made for Saturday's party! 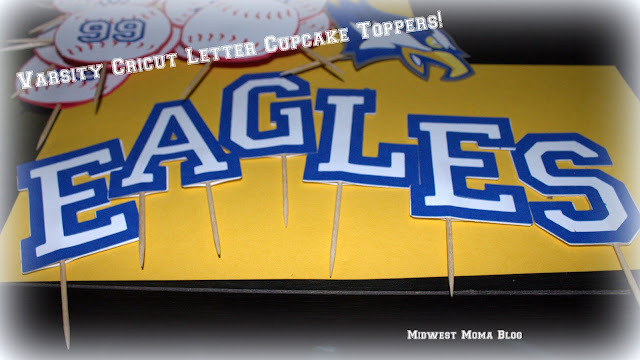 Do you remember the Eagle Wall Art I did a while back? 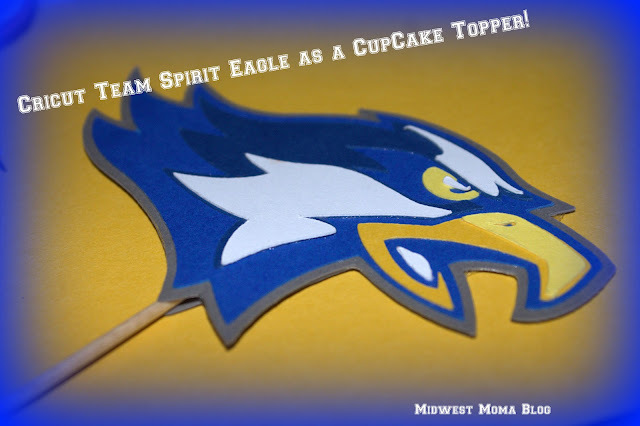 Well I scaled down the eagle from Team Spirit and made a single cupcake topper out of him! To bring it all together, I spelled out the team name in the Varsity Letters! 4th of July Cricut FREE CUTS! ...when it's too HOT to Cook!